Martin Luther is quoted as stating, “The best way to drive out the devil, if he will not yield to texts of Scripture, is to jeer and flout him, for he cannot bear scorn.” I believe that was one of C. S. Lewis’s purposes for writing The Screwtape Letters. 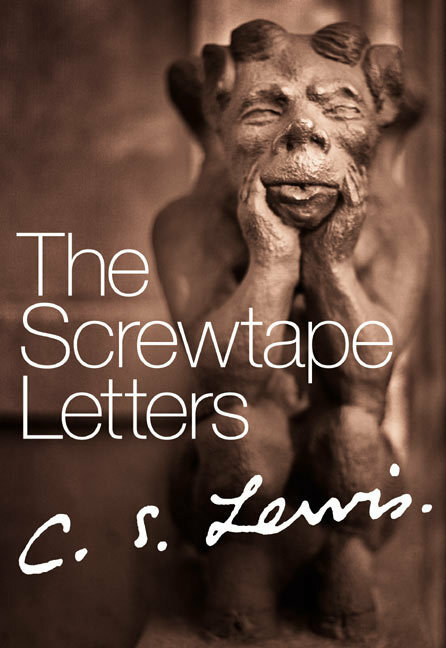 In this creative literary work, Lewis has composed a series of letters from a chief demon named Screwtape to his apprentice, his nephew Wormwood, as he offers him guidance and advice. Of course the entire work is for the most part based on speculation, for we know very little about how Satan and his cohorts operate or what goes on in the spirit world around. We do know, however, based on Scripture, that Satan is real and that spiritual warfare is ongoing and has been since the fall of Man in Garden of Eden (Genesis 3). Unfortunately, the idea of Satan and devils/demons is no longer taken seriously by many unbelievers, but has become more of a mythical or fictitious character, like zombies and vampires (thanks to images like these). 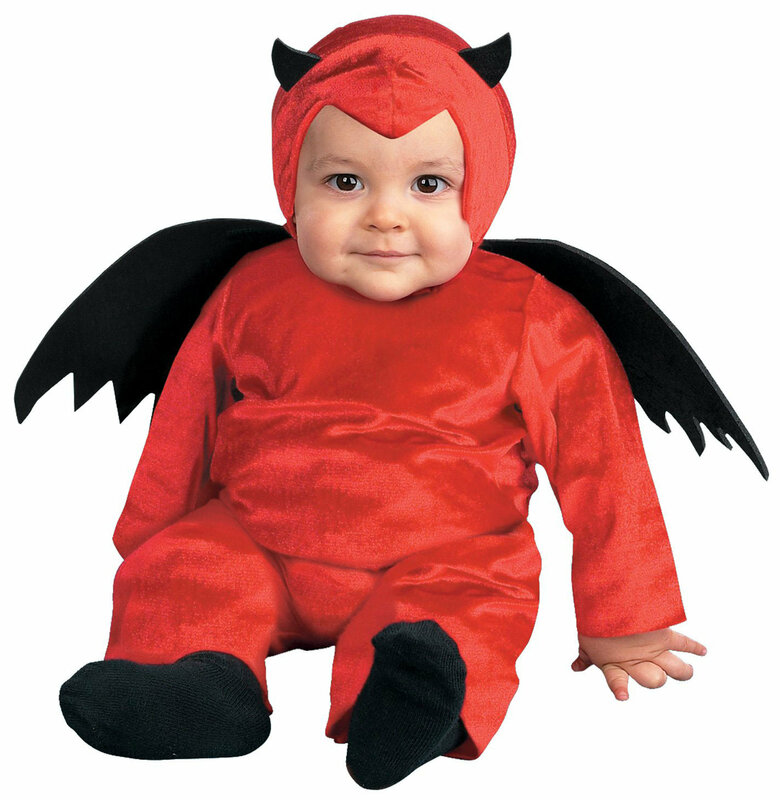 The commonest question is whether I really ‘believe in the Devil.’ Now, if by “the Devil” you mean a power opposite to God, and like God, self-existent from all eternity, the answer is certainly No. There is no uncreated being except God. God has no opposite…I believe in angels, and I believe that some of these, by the abuse of their free will, have become enemies of God…Devil is the opposite of angel only as Bad Man is the opposite of Good Man. Satan, the leader or dictator of devils, is the opposite, not of God, but of Michael [the archangel]. He oppresses, afflicts, and tempts people to sin and do evil (ie. Job (ch. 1-2), Judas; Luke 3:16, John 13; Acts 5:2; Acts 10; II Cor. 12:7; Tim. 3:7, 2 Tim. 2:26). He looks for opportunities, even in believers, to cause them to sin. But he has no authority to do so without God’s permission and control. (Job; I Chron. 21:1; Luke 22:31; Eph. 4:26-27; I Cor. 7:5; II Cor. 2:10-11; I Peter. 5:8-10; Rev. 2:10). He is a created being, like the angels; he is not omniscient, omnipresent or omnipotent, as God is. His power and time are limited and finite to carry out his plans. With these truths in mind, I think Christians sometimes give Satan himself more credit than he deserves. If you feel you are being tempted or oppressed physically or spiritually in some way, and are thinking that Satan himself is causing it, just remember that Satan doesn’t know everything, he can’t be everywhere at once, and he doesn’t have full and free reign to do whatever he wishes, as many of the verses above prove. Since Satan is only a finite being, he requires his minions to carry out his bidding. We also need to keep in mind, that while God himself doesn’t tempt us to sin, He does bring things which we may view as negative into the lives of His children to instruct, correct, strengthen, and purify, and ultimately for His glory. So we need to be careful in assuming that the Devil’s out to get us whenever “bad things” happen in our life, for God is sovereign over everything in our life, and over Satan as well. We also shouldn’t be so quick to blame the Devil whenever we are tempted to sin, because we really have it in us all by ourselves to sin, and don’t really need a whole lot of help from him (James 1:13-15)! Lewis offers many other insights like these throughout the series of letters, many of which I think the reader will find to be true in his own personal experience. The Enemy has a curious fantasy of making all these disgusting little human vermin into what He calls His “free” lovers and servants—“sons” is the word He uses, with His inveterate love of degrading the whole spiritual world by unnatural liaisons with the two-legged animals. Desiring their freedom, He therefore refuses to carry them, by their mere affections and habits to any of the goals which He sets before them: He leaves them to “do it on their own.” There lies our opportunity. A couple of things to observe here. First, nowhere in the Bible does it say that it’s God’s plan to make every human being His child, for if that is God’s goal, He is clearly failing. Secondly, the whole idea of God not helping His children to carry out His purposes for them – rubbish. God’s Word tells us, “Work out your salvation with fear and trembling, for it is God who is at work in you, both to will and to do according to His good pleasure” (Phil. 2:13). I note with grave displeasure that your patient has become a Christian…There is no need to despair; hundreds of these adult converts have been reclaimed after a brief sojourn in the Enemy’s camp and are now with us. All the habits of the patient, both mental and bodily are still in our favour. Now, perhaps Satan is that self-deceived and believes that after a person becomes a Christian he still has a chance to get him back, but this is certainly not what Scripture teaches. Sure, people may make verbal or outward professions or signs of becoming a Christian, but people do not visit the “camp” or kingdom of God, temporarily become His sons, and then go back to belonging to the kingdom of darkness. Once a heart is regenerated by the Holy Spirit and an individual is adopted as a child of God, there is no returning. One reason this is true is because regeneration is God’s work, not man’s (John 1:12-13). The Scriptures also teach that God finishes what He starts and that Christ is both the author AND the finisher of our faith (Phil. 1:6; Heb. 12:2). However, as Lewis himself reminds readers in his Preface, we can’t necessarily take everything Screwtape says at face value, so whether this poor doctrine is coming merely from Screwtape or actually from Lewis is tough to say. Again, keep in mind this work is based primarily on observations and experience in life, and not to be taken as a theological treatise or doctrinal truths found in Scripture. 1) Prayer! God’s Word instructs us to pray without ceasing, and we know that God hears and answers prayer. Not only that, but Christ prays for His people! (John 17; Heb. 2:18, 4:15-16) And the Holy Spirit intercedes for us when we pray (Rom. 8:26-27). These amazing truths should drive us eagerly and frequently to prayer. 4) One key to being able to resist the devil seems to be humble submission to God. Both in I Peter 5 and James 4:7, the imperative to “resist the devil” is prefaced with an exhortation to submit to God and to be humble. Note: The Screwtape Letters is book I’ve included on my list of fictional works I believe every Christian should read. Is there a book on spiritual warfare that you would recommend? This entry was posted in Christian Books, Fiction, Young Adult Fiction and tagged C. S. Lewis, eternal security, God's Sovereignty, Satan, Screwtape Letters, spiritual warfare, the Devil. Bookmark the permalink. I read this book in high school at the urging of my Mom and found it to be very insightful. It helped me see how quickly even a Christian can listen to whispering lies and how dangerous a society who doesn’t believe in the Devil is. I appreciated your point about Satan being the opposite of Michael the Archangel and not God. So often we put him on God’s level. I think Lewis must have not believed in once saved, always saved. After all, Susan never went back to Narnia. Thanks for commenting, G&Q. I do know that Lewis was Arminian in his theology and most likely did not hold to the idea of eternal security. My memory on the Chronicles is a bit foggy, but that is an interesting observation about Susan and Narnia; I don’t recall that – do you know which book indicates that? From what I remember, I thought Susan and Peter “got too old” after Prince Caspian to go back. It was in the Last Battle. Peter, Edmond and Lucy come back, but Susan didn’t. I always disliked that as a child because I felt like he broke his cardinal rule: Once a king or queen in Narnia, always a king or queen in Narnia. In fact, I hated the Last Battle as a whole. I might enjoy it more now, but as a child I did not. Hmm, I had forgotten that; doesn’t seem right. Does the book explain why Susan doesn’t come back? So glad to know this: Once a child of God, always a child of God! She stopped believing in Narnia. It was very disturbing as a child. I agree. If salvation depended on my I’d have no hope!